Lamb Weston is a leading supplier of frozen potato products to customers. 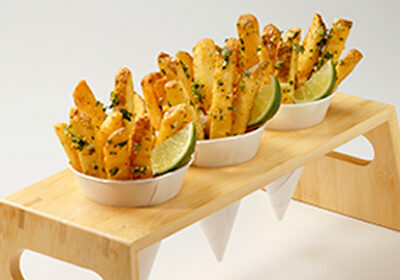 Lamb Weston globally provides profitable high-quality french fries and prepared potato products. Lamb Weston – Seeing possibilities in potatoes. 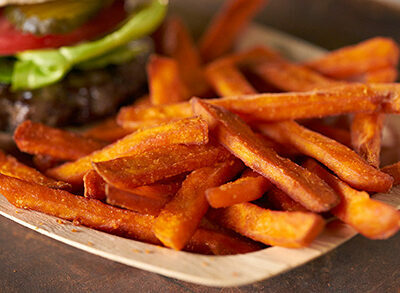 Lamb Weston brings you the sweet potato expertise that will help you add excitement with new taste experiences. Discover innovative sides, snacks, sharables and deliciously creative ways to profit across your whole menu. Best Practices of French Fry Preparation. Guidelines for ensuring consistent french fry quality. Simple steps for managing your fry station to achieve ideal taste and texture. Adding a twist to classic french fries has created a new demand for the ever changing consumer palate. Find out how loading up Lamb Weston® french fries with meats, cheeses, vegetables and sauces has many operators clamoring for menu changes.